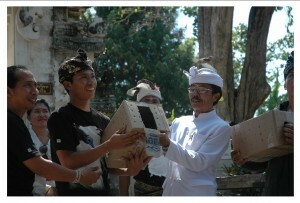 Nusa Penida (Bali), 02 Mai 2011 – FNPF started a Bali Starling Nest Box program in May 2011. The purpose of this program was to give a better change for Bali Starling (Leucopsar rothschildi) to reproduce in Nusa Penida. FNPF installed the first nest box at Dalem Bungkut temple area where there is an active pair of birds breeding. 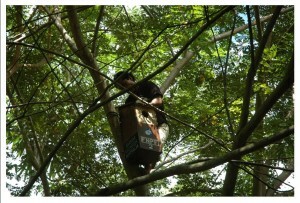 Dans 2011, FNPF expects there are 15 nest boxes can be installed. Entre-temps, the nest box that needed in 2012 is depend on all number of nest box in this year. Up to August 2011 we got 10 supporters who sponsored a nest box each. Now, FNPF has had 10 installed nest box who sponsored by some parties. Thanks to all of the donors; Marry Wilson & friends, Café Des’artise, Green School, Rotary Club Bali Sunset, Jane Cummins, Jc and Family, Marvie Marchi, Barbara Mc Gregor, Shanti Mission, and Mary Rose. Nusa Penida (Bali), 13 Mai 2011 – FNPF’s Nusa Penida Bird Sanctuary has received wide media coverage because of FNPF’s unique approach that has transformed the island into a safe area where Bali Starling and other bird species can live side by side with humans. Trans 7 one of Indonesia’s National TV stations spent 4 days producing their programs called “Jalan-jalan”. This program promotes unique / unusual tourist destinations to Indonesian and foreign tourists. Although it has already many TV programs that explore about traveling but this program has its own privileges. TV program “Jalan-jalan” shows something new and unique in a local area. This program basically is to promote unique / unusual tourist destination to the Indonesian or foreigner. From this activity indicates that the Nusa Penida is quite feasible not only as a tourist destination but also the location of the protection of birds. Nusa Penida (Bali), 28 Mei 2011 – The Australian Consulate Bali supported FNPFs’ community development program through their Direct Aid Program (DAP). With their support FNPF improved and renovated our library (built in 2006) and nursery (built in 2005). Those facilities now become tidier and function better than ever. 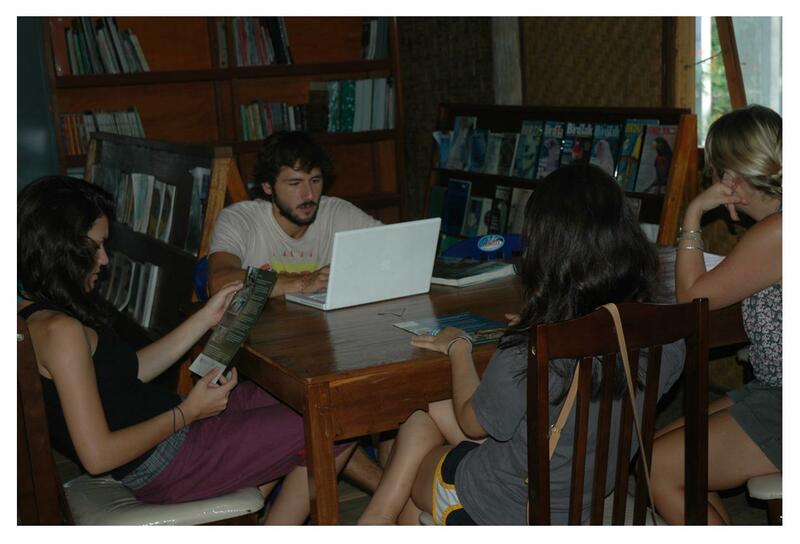 In the library there were more than 350 books available that we obtained from donations and purchases by the FNPF. It took more books to support the improvement of children knowledge and capacity in Nusa Penida. Meanwhile in nursery, FNPF had produced about 26000 seeds ready for planting. 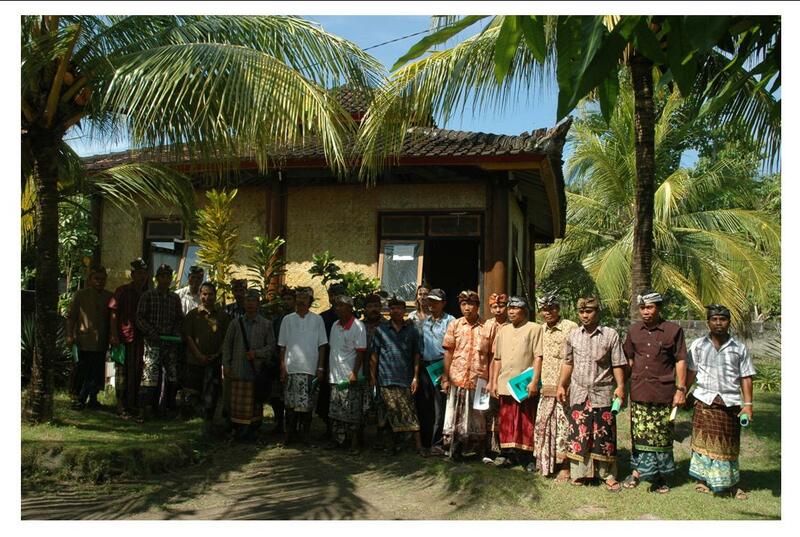 The seeds were used for supporting FNPF’s reforestation activities in Nusa Penida. En outre, local people could get free seed to be planted by their own selves. There were still many shortcomings we had and without the support of various parties, we could not perform a maximum effort. Nusa Penida (Bali), 29 Mai 2011 – In order to maintain the good relationship with the local community and to get more update information about what we could do together FNPF had organized a meeting with all of the traditional village leader at the island (Bendesa Adat). During this meeting we discussed and evaluated our role on both side to make the conservation work at the island last for long time and sustainable in the future. Activity which was attended by 22 Bendesa Customary (traditional head) produces some of the points of which were to strengthen the implementation of gawe-gawe / local rules that have been defined, supports all forms of FNPF’s conservation activities. This meeting was also expected to become a means of gathering to establish better communication and relationship. Nusa Penida (Bali), 05 Juin 2011 – Maya Ubud Spa and Resort sponsored FNPFs’ first Painting Competition to celebrate the World Environment Day. The event was followed by 8 students in Junior High School and enlivened by 12 students in Primary School in Nusa Penida. The number of environmental problems was caused by indifference. 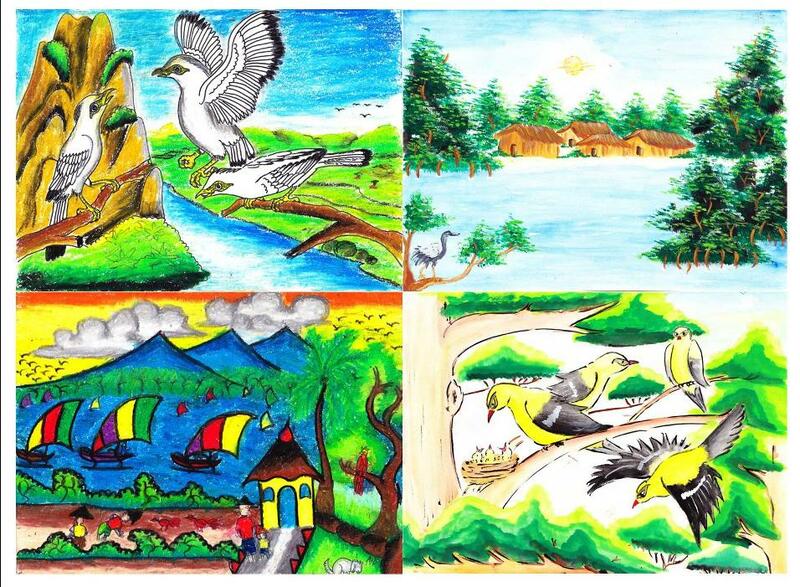 Through this painting competition activity was expected be able to encourage children awareness to their environment that expressed in the form of art. It was not only limited to as the art work but also can be used as a learning and campaign media. It was given magnitude of the benefits obtained from this activity, FNPF hoped this activity could be a fixed agenda that carried out each year. Nusa Penida (Bali), Juillet 2011 – To celebrate FNPF’s 5th year since releasing the first Bali Starling on Nusa Penida, FNPF released 100 Java Sparrow (oryzivora Frog). Mme. Verna Sympson as the Director of Humane Society International Australia, Indonesian Government officers from Bali, the head of all Nusa Penida villages, local NGOs and local community members attended and participated in this event. Thanks to Mr. John Duffield and Ms.Rachel Plecas who provided 10 Bali Starlings for future releases. In this month FNPF also accepted 10 Bali étourneaux. They were Bali Starling chicks flown who arrived from a registered breeder in Bandung. We always kept our commitment to conserve the wildlife included birds. As you know the Bali Starling genetic diver population in Bali remained under threat, prompting the FNPF to turn to Nusa Penida to establish a sanctuary for the birds. West Bali National Park (Bali), 22 Juin 2011 – The success of FNPF’s Bali Starling conservation in Nusa Penida inspired the forestry department to develop a similar project in the West Bali National Park, the location of the last wild Bali Starling on Bali. 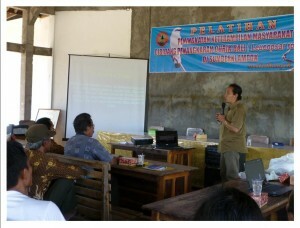 FNPF’s director, Wirayudha Bayu Dr, was invited to share his knowledge and experience about FNPF’s bird conservation in Nusa Penida. Although the first bird release program in Nusa Penida was getting opposition from some parties but we were quite pleased because it could be proven as a success program. It attracted others to conduct the program by using the same approach. FNPF’s director was invited to share the experience about this bird conservation in Nusa Penida that involved local to protect the bird. It was attended by 25 people from Sumber Kelompok. Through this event was expected that people could improve their skill in breeding bird in particular Curik Bali (Leucopsar rothschildi). They planned in 2013 they also could release some birds. Nusa Penida (Bali), 17 Août 2011 – For the 7e year on August 17, FNPF ran a conservation education competition on Nusa Penida island. Cette année,, 27 students participated from 9 secondary schools in Nusa Penida. This event remains one of the most popular events of Indonesia’s Independence Day celebrations on the island. 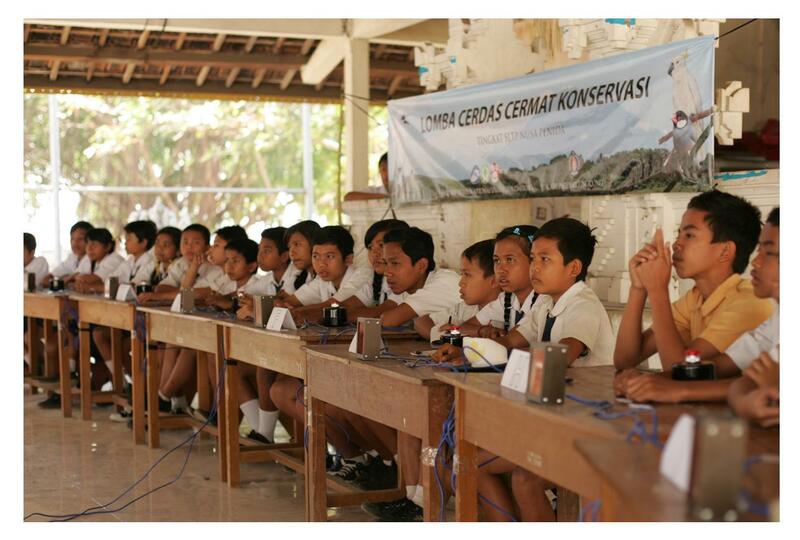 Conservation competition in this year was followed by 12 students of Junior High School from 9 schools in Nusa Penida. The contested subject was about the nature conservation and environment issue habitat and wildlife. The event was more festive than the competition in previous years because of there was additional facilities. It was bells. It made competition became more orderly. The competition was won by students from SMPN 3 Nusa Peniada as a champion, SMP Satu Atap Kulumpu Nusa Penida as runner up, and SMP Satu Atap Bunga Mekar Nusa Penida as the third winner. We were very grateful to Humane Society International (HSI) who had sponsored this competition and all parties who have involved so the event could be hold.